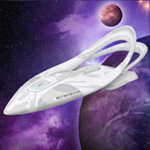 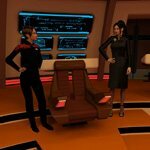 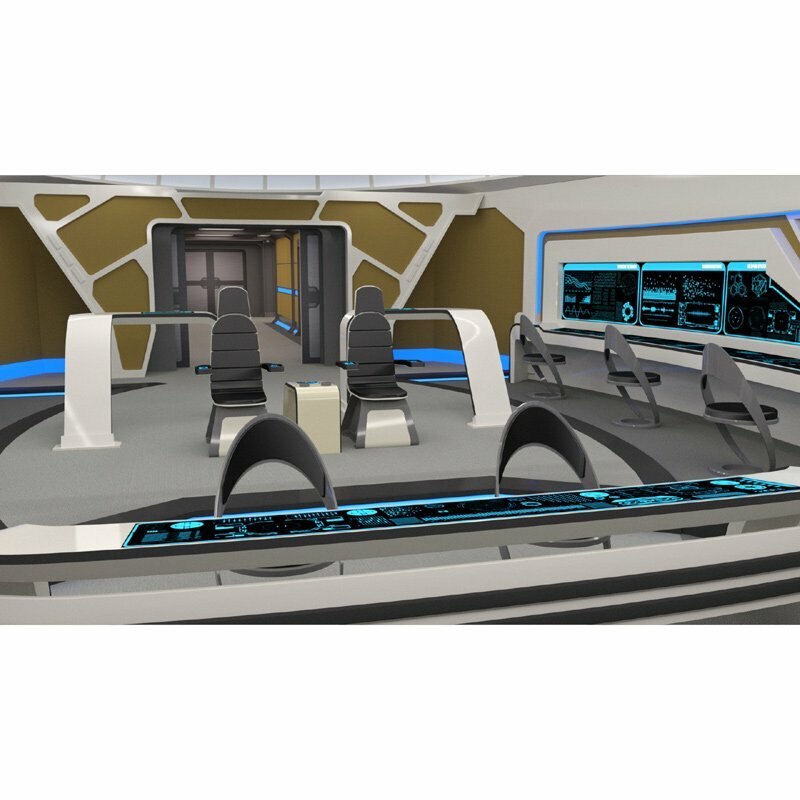 A more advanced bridge for a more advanced starship. 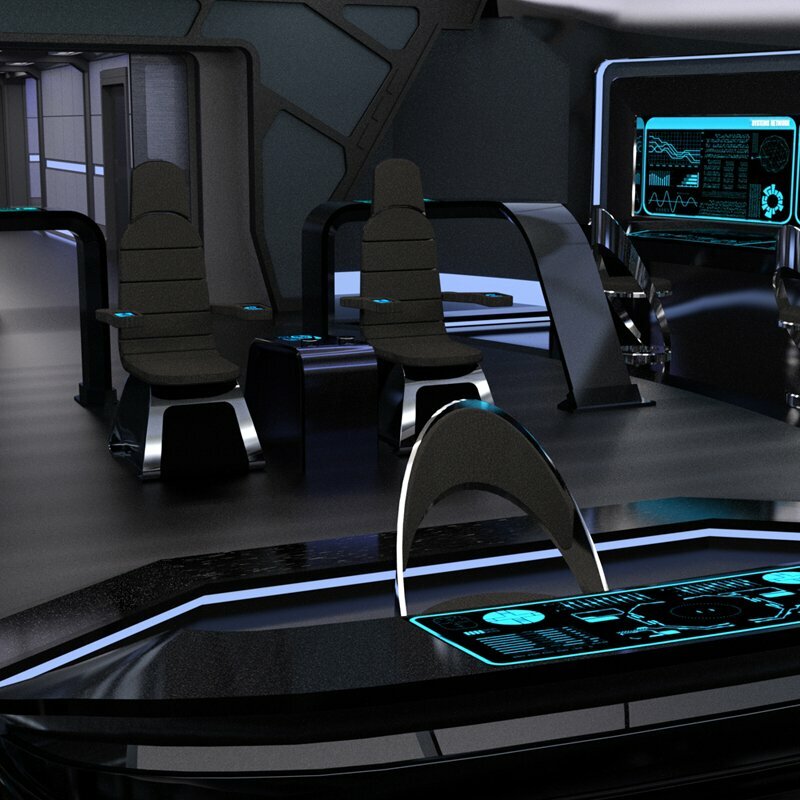 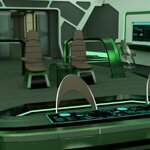 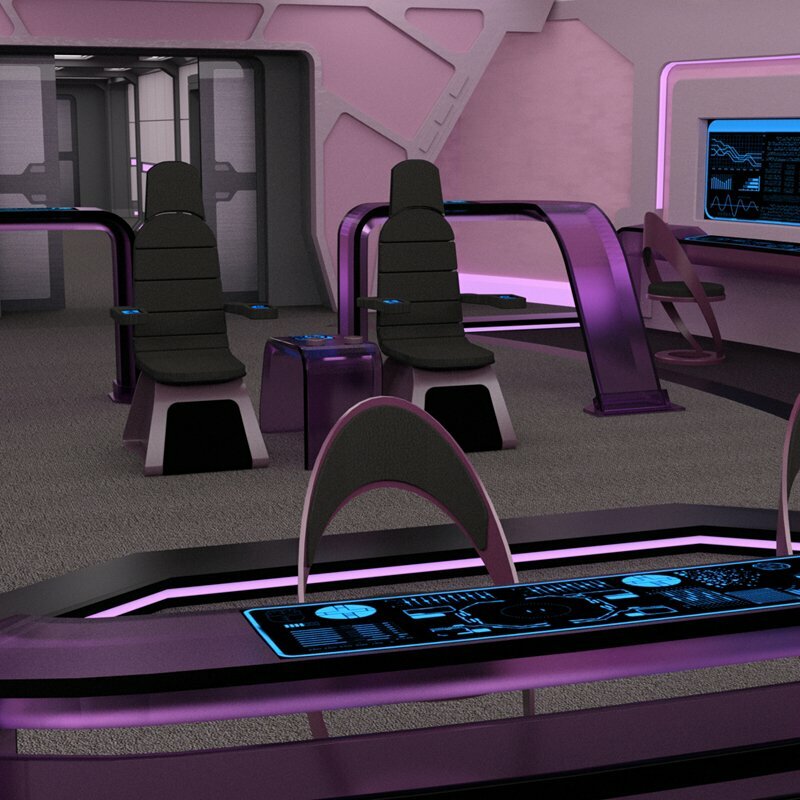 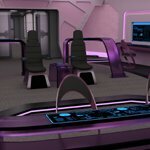 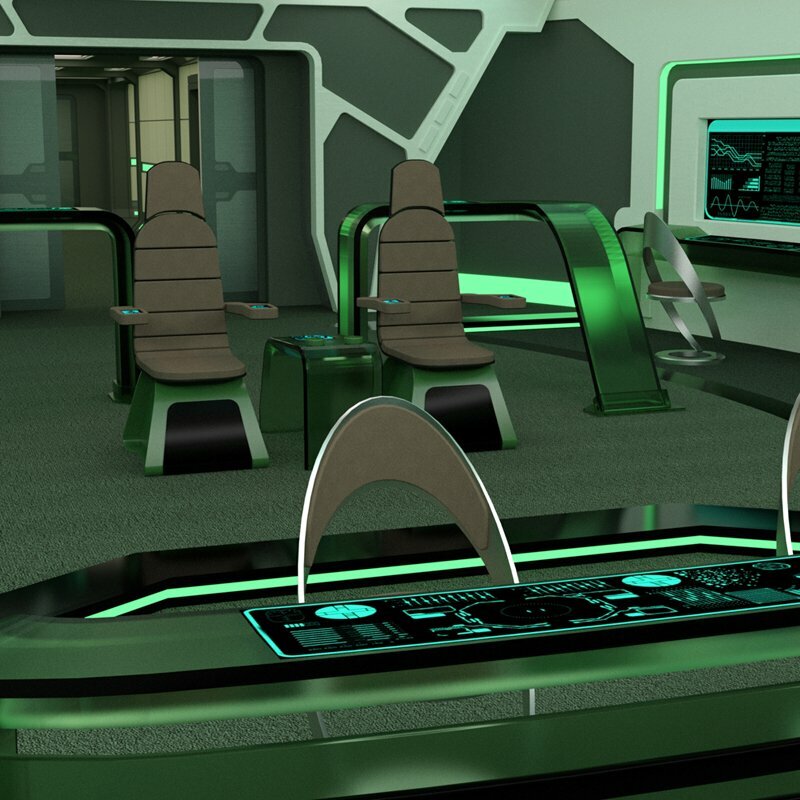 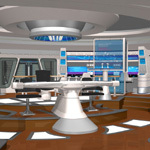 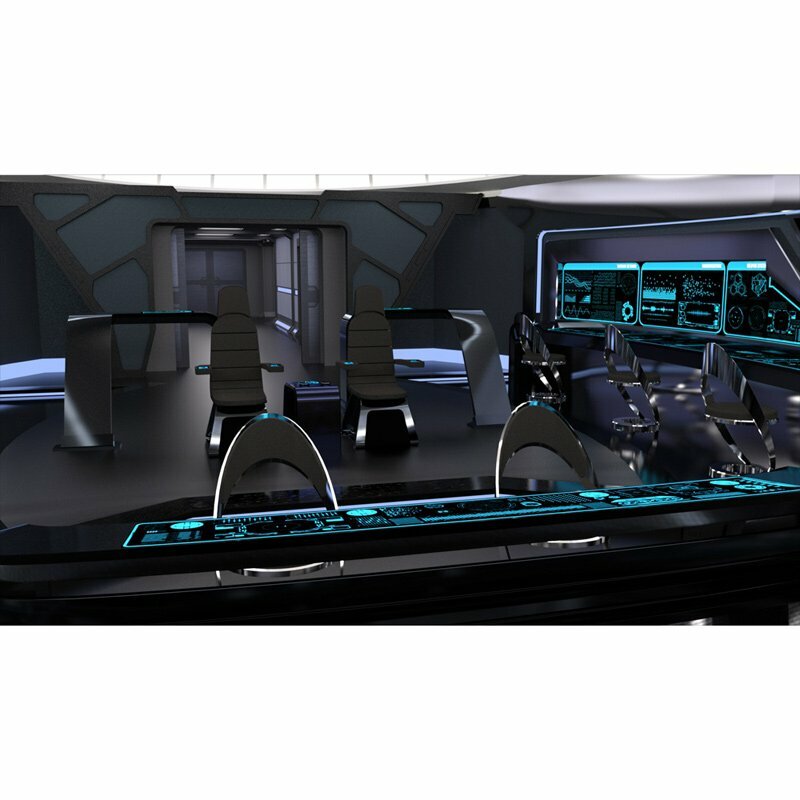 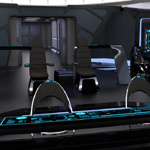 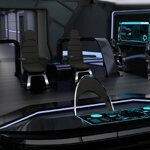 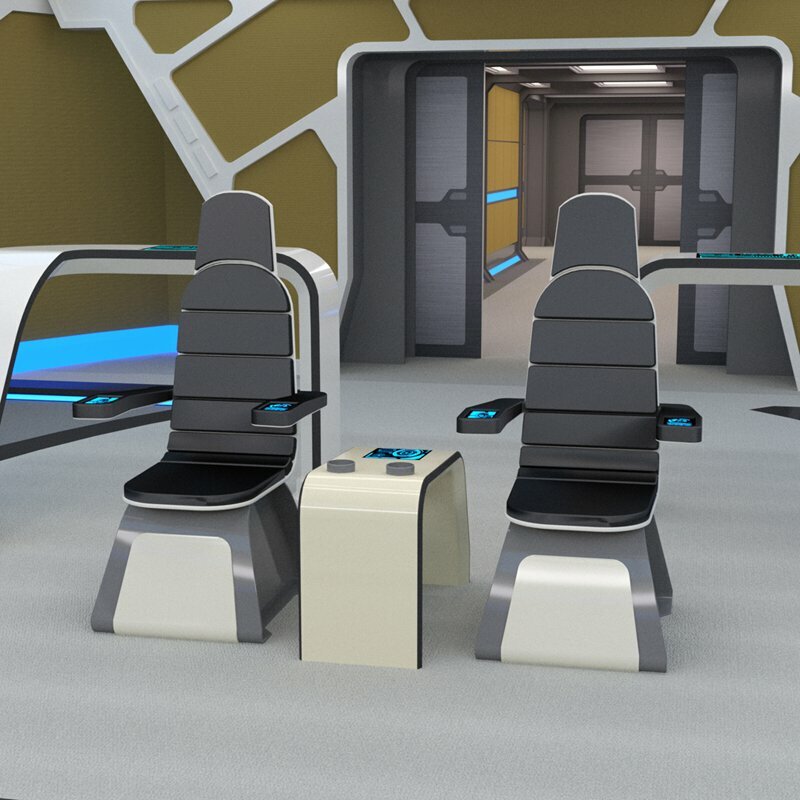 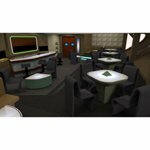 This design includes an integrated helm and ops console, chairs for the captain and first officer, two stand-up stations behind them, and three seated stations on both the left and right walls. 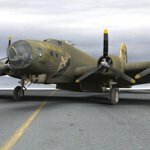 • DAZ Studio prop (dsf, duf/ png), with 68,560 polygons. 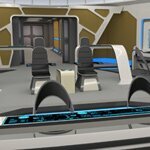 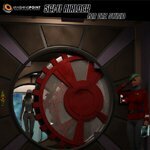 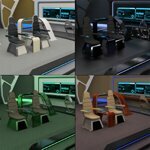 • The helm, ops, and outer chairs are separate parts which can be rotated or repositioned in the scene. 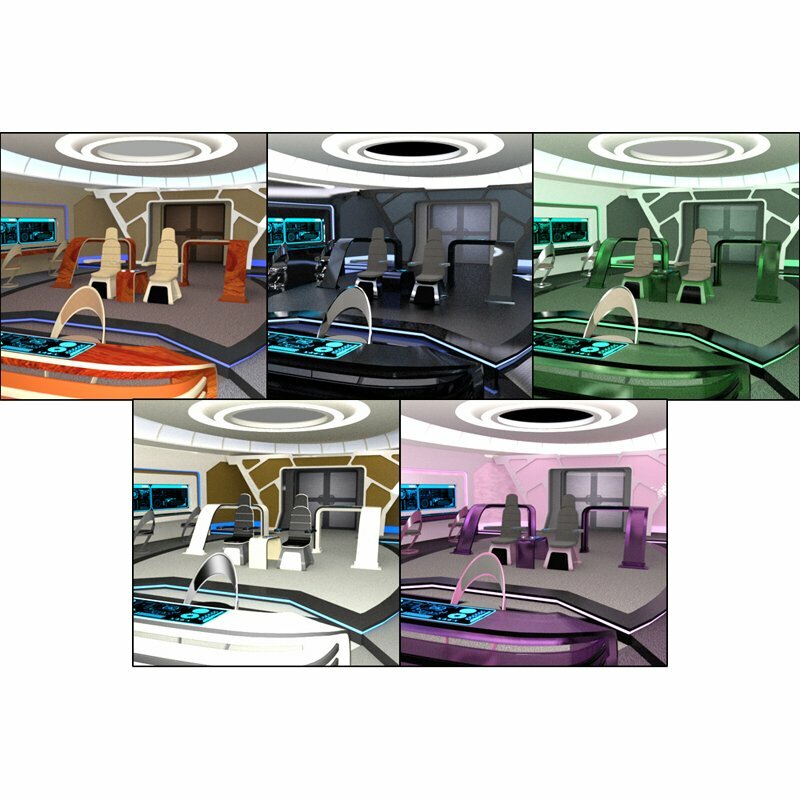 • All of the doors can open and close with pose control dials on the Body. 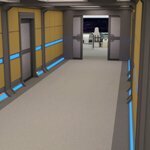 • All of the walls can be hidden or shown to suit the needs of your scene. 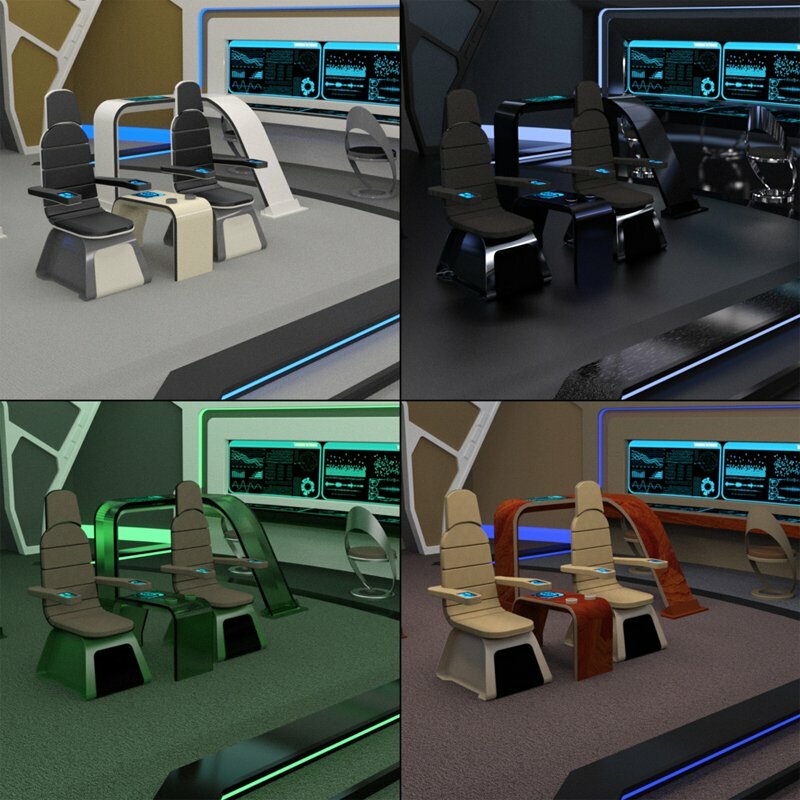 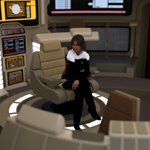 • The captain`s chair and first officer`s chair can not move. 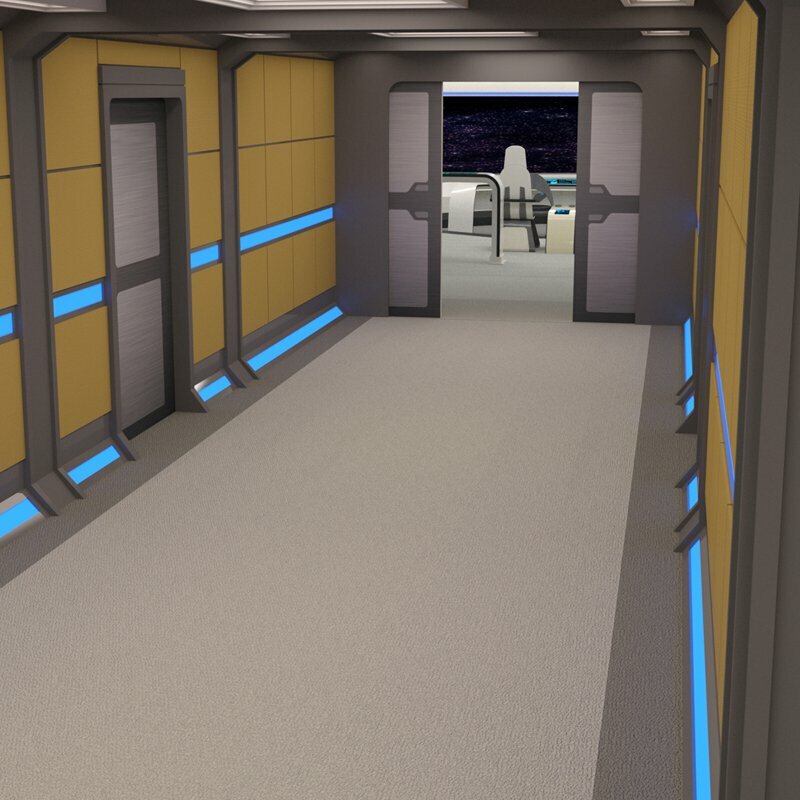 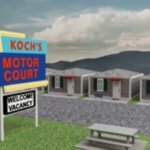 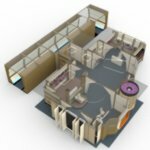 • Includes a hallway behind the bridge, but there are no hallways on the other side of the hallway doors. 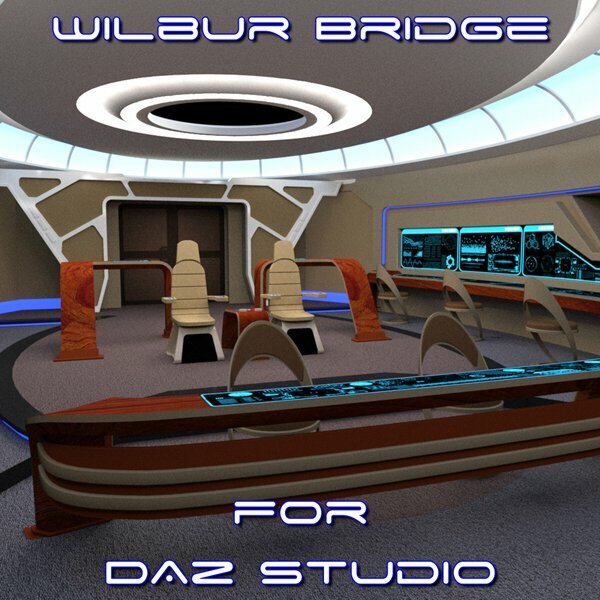 This product is meant for use in DAZ Studio 4.9 with Iray and above and may not work correctly in other software programs. 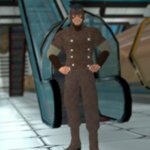 All images rendered in DAZ Studio 4.9.